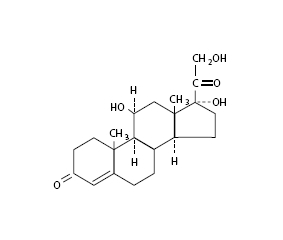 Actives: Neomycin sulfate (equivalent to 3.5 mg neomycin base), Polymyxin B Sulfate equivalent to 10,000 polymyxin B units, Bacitracin Zinc equivalent to 400 bacitracin units, Hydrocortisone 10 mg (1%); Inactives: Mineral Oil, White Petrolatum. The use of a combination drug with an anti-infective component is indicated where the risk of infection is high or where there is an expectation that potentially dangerous numbers of bacteria will be present in the eye (see CLINICAL PHARMACOLOGY, Microbiology). Neomycin and polymyxin B sulfates, bacitracin zinc and hydrocortisone ophthalmic ointment should never be directly introduced into the anterior chamber of the eye. Ophthalmic ointments may retard corneal wound healing. Prolonged use of corticosteroids may result in ocular hypertension and/or glaucoma, with damage to the optic nerve, defects in visual acuity and fields of vision, and in posterior subcapsular cataract formation. 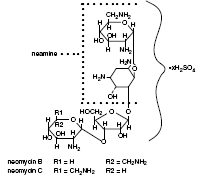 Topical antibiotics, particularly neomycin sulfate, may cause cutaneous sensitization. A precise incidence of hypersensitivity reactions (primarily skin rash) due to topical antibiotics is not known. The manifestations of sensitization to topical antibiotics are usually itching, reddening, and edema of the conjunctiva and eyelid. A sensitization reaction may manifest simply as a failure to heal. During long-term use of topical antibiotic products, periodic examination for such signs is advisable, and the patient should be told to discontinue the product if they are observed. Symptoms usually subside quickly on withdrawing the medication. Applications of products containing these ingredients should be avoided for the patient thereafter (see PRECAUTIONS, General). 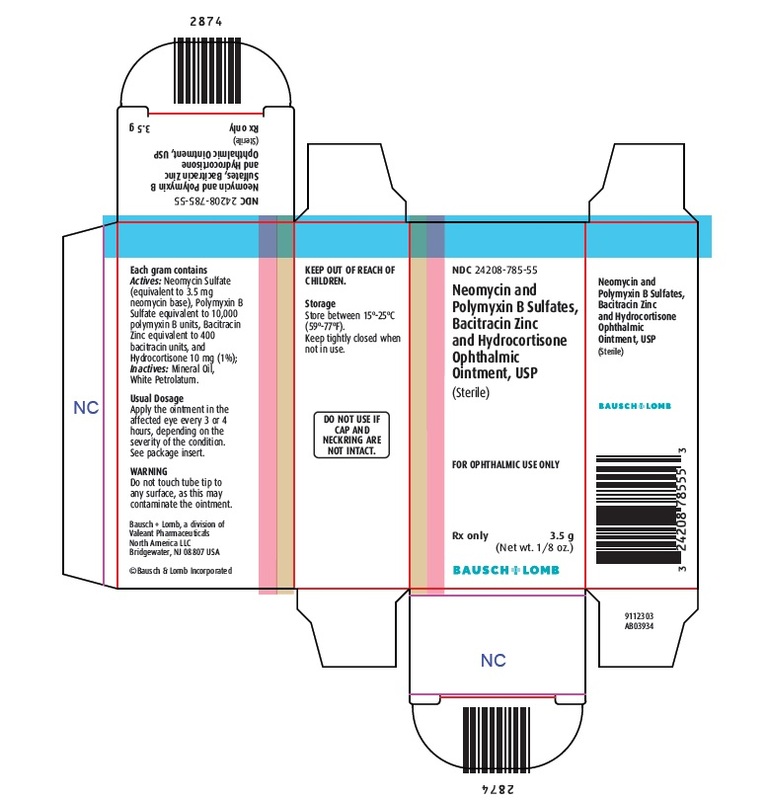 There have been reports of bacterial keratitis associated with the use of topical ophthalmic products in multiple-dose containers which have been inadvertently contaminated by patients, most of whom had a concurrent corneal disease or a disruption of the ocular epithelial surface (see PRECAUTIONS, Information for Patients). Patients should also be instructed that ocular products, if handled improperly, can become contaminated by common bacteria known to cause ocular infections. Serious damage to the eye and subsequent loss of vision may result from using contaminated products (see PRECAUTIONS, General). Corticosteroids have been found to be teratogenic in rabbits when applied topically at concentrations of 0.5% on days 6 to 18 of gestation and in mice when applied topically at a concentration of 15% on days 10 to 13 of gestation. There are no adequate and well-controlled studies in pregnant women. Neomycin and polymyxin B sulfates, bacitracin zinc and hydrocortisone ophthalmic ointment should be used during pregnancy only if the potential benefit justifies the potential risk to the fetus. Not more than 8 grams should be prescribed initially and the prescription should not be refilled without further evaluation. (see PRECAUTIONS,General). Store between 15° - 25°C (59°- 77°F). Keep tightly closed when not in use.